Annette Human's amazingly successful recipe books have sold more than a million copies. Her name is synonymous with tried and tested South African recipes which are inexpensive and easy to make, ideal for both beginners and experienced cooks. 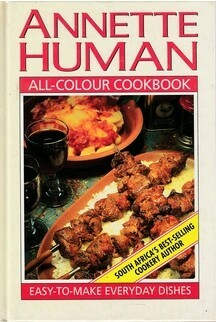 All-Colour Cookbook is an essential addition to her other best-sellers.